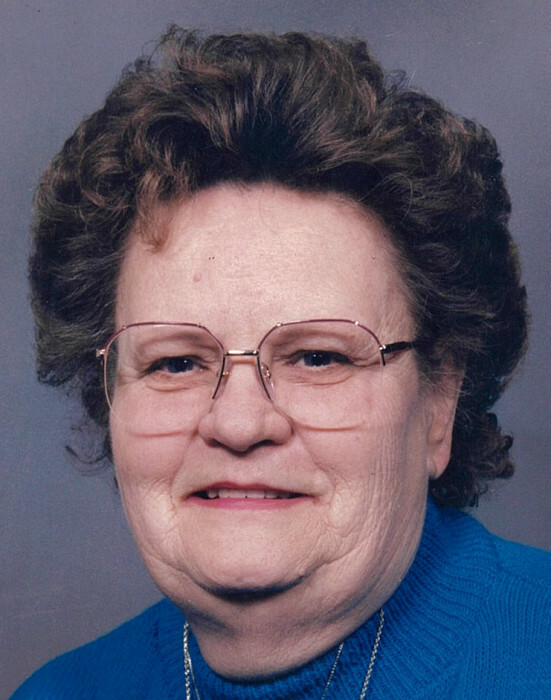 Mary Eileen Smith, 85 of Dillsboro passed away Sunday, April 7, 2019 at U.C. Medical Health in Cincinnati, Ohio. Eileen was born Saturday, December 16, 1933 in Milan the daughter of Harry and LaVerna (Freyer) Neukam. Eileen was a homemaker and former member of Grace Church of the Valley. She enjoyed church, volunteering at the food pantry, loved her family and spending time with people. Eileen is survived by her daughter Pat (Tim) Richardson of Dillsboro. She was preceded in death by her husbands: Carl Smith and Theodore Vernon Sharp; and her parents. A graveside service will be held at Oakdale Cemetery in Dillsboro at 3 PM Wednesday, April 10, 2019 with Dr. Roger Webb officiating. Celebration of life service will be held 3 PM Saturday, April 13 at the Grace Church of the Valley, 1709 Nowlin Ave., Lawrenceburg, IN 47025, with Dr. Roger Webb officiating. Memorials may be given in honor of Eileen to the Grace Church of the Valley. Filter-DeVries-Moore Funeral Home entrusted with arrangements, Box 146, Dillsboro, IN 47019, (812)432-5480. You may go to www.filterdevriesmoore.com to leave an online condolence message for the family.